Welcome to the old home of Perth & District Ramblers. This web site is no longer updated. Please connect to the new site below. 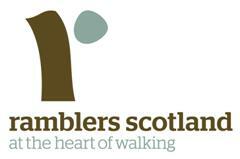 Please click below to connect to the new site of Perth Ramblers. Wednesday Walkers outing to Loch Lomond. A good day was had by all 47 of us. Thanks to Stewart for arranging it all. Newton Bridge in the Sma' Glen - looking back through upper Glenalmond on the way up to the fort at Dun Mor. A crisp sunny day on Bishop Hill overlooking Loch Leven. Only a few days after the Glen Fender walk, what a change in the Weather! A snowy walk in Glen Fender. 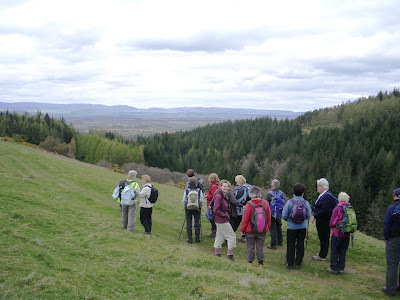 On a cool but bright February morning a group of 25 set out for Kirkton of Collace, just a dozen miles or so from Perth. Our leader was Allen Bardwell. The walks took us through farmland to Dunsinane Hill, at just over 1,000 feet and part of the Sidlaws. The hill is the site of iron age fort and the area is full of history and is of course well known as the supposed site of Macbeth’s Castle. Indeed it is possible to see Birnam wood on a clear day which lies 12 miles to the ESE. After a coffee break at the top of the hill we descended and made our way via Tulloch Ard and Franklyden to Collace, stopping for lunch on route with amazing views over the Firth of Tay and beyond towards the Trossachs. 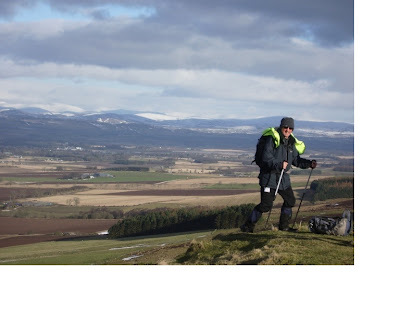 The walk was some 9 miles and everyone appreciated the interesting and varied route that Allen had been able to find.